BJP candidate BR Waghe and Congress nominee Atum Welly will vie for the seat, which was earlier a part of the East Kameng district. A neck-and-neck electoral battle in on the cards in the assembly constituency of Pakke-Kesang, the newly created district in Arunachal Pradesh, where both contesting candidates of the ruling BJP and the Congress claim to enjoy equal popularity. BJP candidate BR Waghe and Congress nominee Atum Welly will vie for the seat, which was earlier a part of the East Kameng district. The state is going to simultaneous hold Lok Sabha and assembly polls on April 11. The Pakke-Kesang assembly constituency was in the news post the 2014 assembly polls, as former deputy chief minister Kameng Dolo, who won as a Congress nominee, had to give up the seat, following a Gauhati High Court order that declared his election null and void. Atum Welly, who had contested the election as a BJP nominee, filed a petition against Dolo, claiming that a fraudulent move had thrown him out of the race with the Election Commission accepting a forged letter of his nomination withdrawal. He alleged that his signature was forged in the withdrawal letter by Dolo. In the by-election that followed on December 21, 2017, BJP candidate Waghe bagged the seat, defeating his lone rival Dolo of the Congress by a margin of 475 votes. The contest, this time, would be a tough one as both the candidates are equally popular among the 7,000 odd voters in the constituency, according to poll observers. 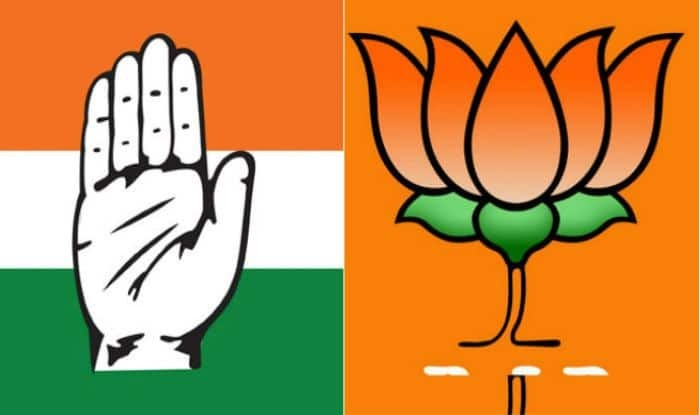 Welly, who quit the BJP to join the Congress last year, stressed on the possibility of rigging during the April 11 polls, while seating MLA Waghe alleged that the grand old party candidate has been resorting to ‘cash for vote’ tactics. “The Congress candidate is alluring voters by paying them huge sums of money, which is against the democratic spirit,” Waghe alleged. Jimmy Chiram, the superintendent of police of Pakke- Kessang district, contended that the administration has taken adequate measures to thwart off any untoward incident. “We have deployed two platoons of central armed police forces and one company of Indian Reserve Battalion, along with civil police, to ensure violence-free polling in 26 booths, five of which are critical,” Chiram added. Deputy Commissioner T Messar said all arrangements have been made, including uploading of postal ballots on the Election Commission (EC) website. “The nakas (check point) have been set up and patrolling intensified in all the vulnerable areas of the district. While videography will be in place to record the polling process in the critical booths, the EC has also appointed flying squad and static surveillance teams to check the flow of cash during elections,” the DC maintained. This time, Waghe has chosen infrastructure development as his main poll plank, while Welly is attaching priority to issues of unemployment and road connectivity. “My main priority will be to establish a state-of-the-art district secretariat and declare the Pakke-Paga festival a state festival. I also plan to commission a hydro project at Palin and ensure sustainable economic development for the unemployed youths,” Waghe said. “During my stint as the representative of the seat, I was able to give Pakke-Kessang the status of a ‘district’ and bring mobile connectivity to the region,” he added. Welly insisted that he would improve facilities in the health and education sectors if voted to power. According to poll analysts, Waghe has an edge over his rival as Dolo, along with his supporters, has recently quit the Congress to join the saffron party.